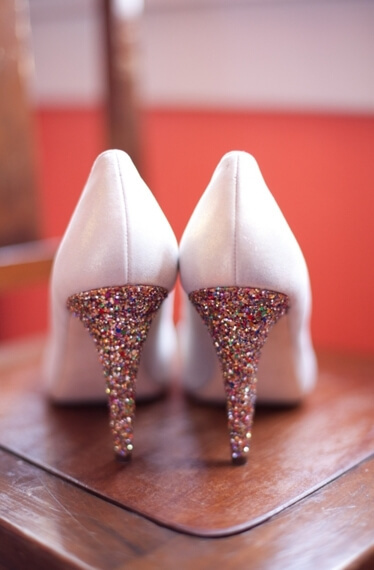 Do a little wedding DIY project and glam up your bridal shoes with glitter heals! 1. 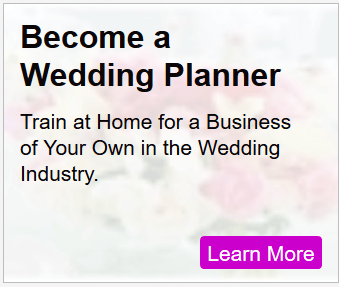 Just cover the your bridal pumps thoroughly but carefully, leaving only the heels exposed. Using painters tape is handy for this. 2. Use modge podge (also known as podgy), a popular craft glue available at craft stores everywhere, or you can buy online. With an appropriately sized paint brush, paint the glue onto the heels of your shoes, making sure to get glue only on the heels – not on the shoe itself (remember to use the painter’s tape!). Use a small artist’s paint brush for precision where fine detailing is required. 2. 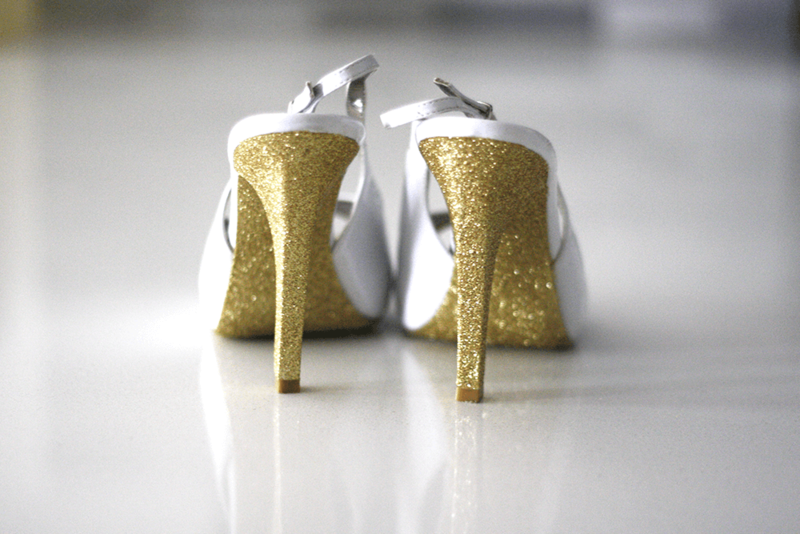 Then, use either silver or gold glitter, according to your preference, and dust the heels with glitter on all sides until all of the heel is completely covered. Or you could use an irridescent glitter (kind of like opal), or even a multicolor glitter set primarily in a white or silver glitter base. Keep in mind, if you can’t find the exact blend of glitter you want, you can make your own by mixing different colors of glitter in the proportions you like. Just be sure to shake very well before you apply to make sure the colors are well blended. Be sure you have an even coating of glittering over the entire heel. Go over any skimpy spots with more glitter. 3. Set to dry in a safe location. Wait 24 hours before handling. 4. Seal with a coat of podgy or modge podge. You’ll need your paint brush again, and you’ll want to paint a thin coat of the glue all over the heal, to completely cover the glitter. Don’t worry, it will dry clear and provide a protective coating so your glitter stays put! 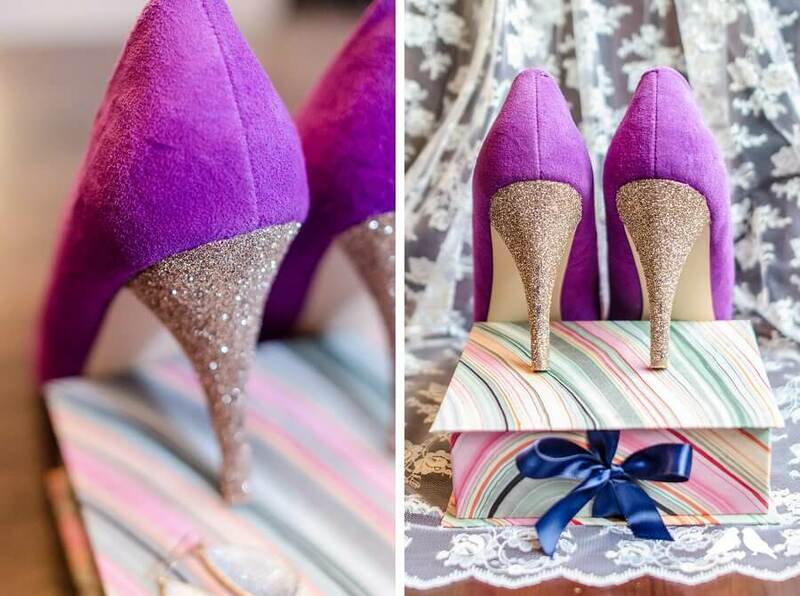 Glitter heels wedding bridesmaid shoes. 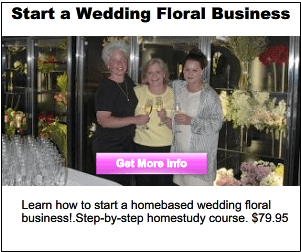 Do the bridesmaid shoes too! Little Mrs Priss had a slightly different take on the whole wedding glitter heels ideas – try glitter soles on your wedding shoes instead. 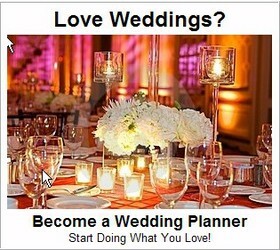 Or do both for your wedding, glitter heels and glitter soles! But be sure not to glitter the part of the sole that walks on the floor! Only glitter the raised part, otherwise you’ll create a major slipping hazard. All the glitter would quickly get worn off that part of the sole anyway, and no one sees it either, so no need for glitter there.